One of the minions from Despicable Me 2 is a stylized vinyl figure! 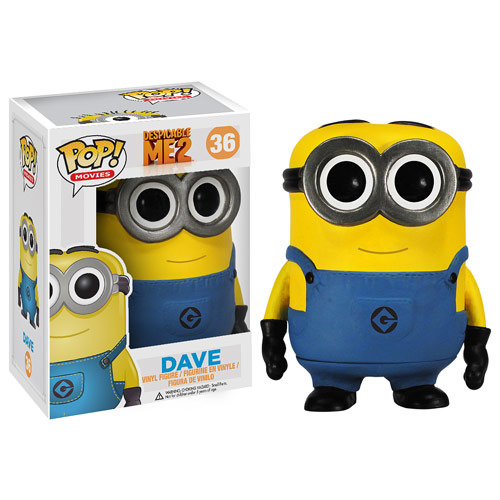 This Despicable Me 2 Movie Dave Minion Pop! Vinyl Figure features the little yellow guy wearing his overalls and rendered in the adorable Pop! Vinyl figure format. Measures 3 3/4-inches tall. Ages 5 and up.